Catch up on the latest updates in Nine Swords by checking out our cabal Newsletter. Issue 31 has been released today! 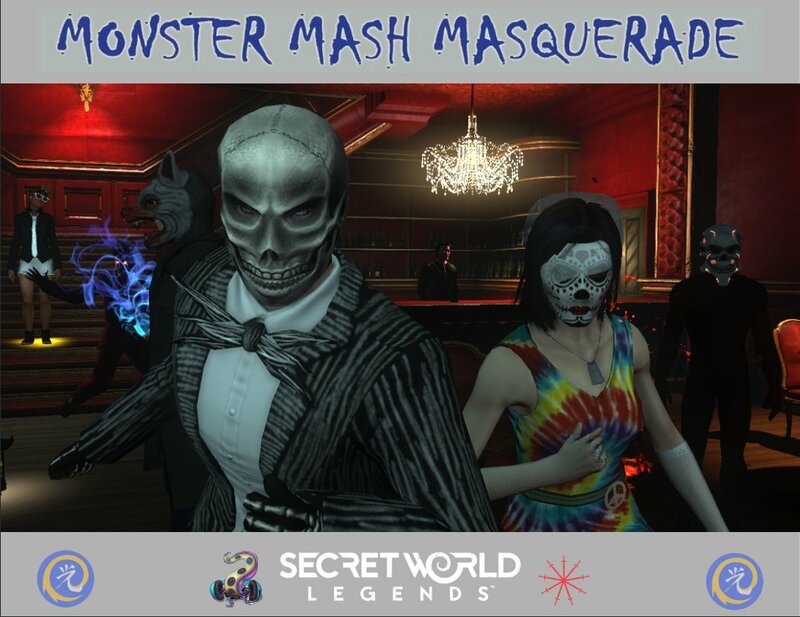 The Monster Mash Masquerade 2018 photo book! Massive thank you and appreciation to @HikariKenzaki for creating the Monster Mash Masquerade 2018 Photo Book!! Over the past few years, members of our Secret World Legends community have ramped up efforts for Extra Life’s Game Day event. This year is no different. Nine Swords does not have its own team - however, we hope to see lots of you out there encouraging our friends and supporting them in reaching and exceeding their goals. For more information about Extra Life, to find out which teams and individuals are participating and to find out how you can get involved if you want to - head over to this overview from Andy Benditt, one of the Community Managers for Funcom. Following some strange things happening in the ingame pop up window, and via the @The_Buzzing - Secret World Legends confirmed that on November 14th 2018 new content is being launched! To catch up on the strange things that happened leading up to the launch release, check out this thread from Chosen-Wan. Halloween Competitions in Nine Swords! Swords, we have two fantastic competitions running for our members this Halloween - whatever timezone you are in, and however much time you may or may not have on your hands.. we know you will have the chance to enter them both! Is being run by Indashi. You need to make the most spooky halloween themed theatre scene in the Albion! What are you waiting for? We are looking forward to seeing lots of entries so we can give our prizes away. And remember - if you want to make the prize pots bigger for the cabal, we will not say no. Please get inTouch with Indashi or Katelin.